As is the case every year, there is a flood of new and modified firearms released in December and January. The world’s largest outdoors exposition – SHOT Show – and a number of other conventions have a tendency to get manufacturers to shift into overdrive. 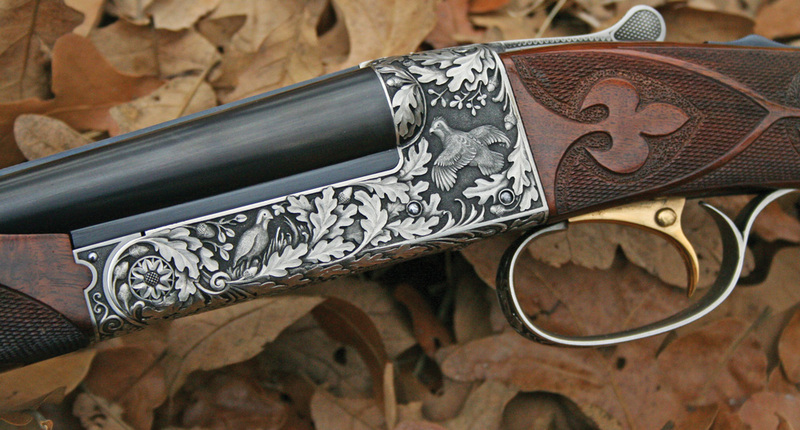 Of course, the shear volume of the latest and greatest handguns, rifles and shotguns at this time of the year means quite a few fly under the radar. But we at GunDigest.com aren’t going to allow these strays to break from the herd. So, without further ado here are a few new and tweaked firearms hitting the market in the coming year. It’s a whole hodgepodge, almost certain to get shooters expanding their wish list. For a good share of American hunters, Weatherby is the acme of rifles. Since the California company’s early days, they’ve offered shooters a tough-as-nails rifle, with the lines of a true classic. Nowhere is this more evident then the company’s Mark V. The flagship model is in its 70th year of production. And if the rifle gets your heart a thumbing, like a seeing a trophy elk, Weatherby has a heck of an offer. The company has produced a limited run of the Mark V in a 70th Anniversary edition, elegant in both lines and accuracy. Only 70 of these beauties will be made, which is evident in the company’s attention to detail. The Mark V’s stock is made of exhibition grade California claro walnut with a lustrous high-gloss finish. It boasts ebony and maple grip-cap spacers. Even the 24-inch contour barrel has a high-gloss finish. And, perhaps neatest of all, the gun is chambered .257 Wetherby Magnum – said to be Roy Weatherby’s favorite of all his creations. It also comes with a number of extras, such as a unique serial number specific to the series, a commemorative knife and sheath – handcrafted by Dan Weatherby, and a custom leather case. There is a hitch to owning a bit of history from a historic company, however – the price tag. MSRP $5,900.